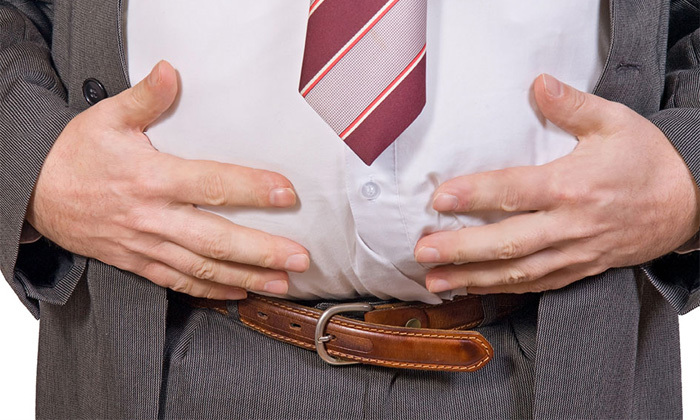 More than half of employees categorise themselves as overweight, a new survey has found. An online poll by CareerBuilder found of employees surveyed, 39% said they’ve gained weight at their current job – with 21% putting on more than 10 pounds (4.5 kg) and 9% putting on more than 20 pounds (9 kg). However, 16% said they’ve actually lost weight while at their current job and 45% said their weight has stayed more or less the same. Interestingly, the study also found that fitness and being physically fit has some influence on how people are treated in the workplace. Nearly one in five workers said they believe those who are thin and fit are shown more favouritism in the office. Of the different types of workers, 44% of management staff said they’ve gained weight in their current job – compared with 38% of those in non-management roles. Women are also more likely to put on weight, with 46% of female employees saying they’ve gained weight on the job, compared with 33% of men. Man also said they are more likely to exercise regularly, with 59% going to the gym compared to 56% of women. Older workers are also more likely to pile on the pounds, with 40% of employees aged 35 and older saying they have gained weight, compared with 36% of those under 35. The least likely to gain weight were 18-24-year-olds, with 30% saying they had put on some extra weight. When it comes to industry, IT professionals are more prone to gaining weight (50%), followed by those in government roles (48%). Next in line are those in financial services (46%), health care (42%) and professional and business services (42%). The survey had a number of suggestions for workers to stop the bad habits which are likely to lead to weight gain including packing your own lunch every day, avoiding sweet treat (which 21% of workers blame on colleagues who bring sweets and chocolate into the office), moving around more and looking into better health and wellness perks and benefits. More than a quarter of workers say their company provides wellness benefits such as gym memberships, but 9% say they aren’t aware if such offers exist in their organisation. Office heat: Is your workplace too cold for productivity? Funnily enough, more than half of respondents believe that the optimal office temperature should be set between 17° and 20°C. What.. Beating Singapore, Thailand and Hong Kong, Malaysia’s employees have indicated they are much more likely to stay committed to thei..